Isuzu Mashinani is a modified 20 foot container that is fabricated by General Motors and is designed to operate as a stand alone auto spare parts shop that is 100% backed by a guaranteed supply of genuine parts from General Motors. The youth groups can request for funding to purchase the spare parts from the Youth Fund, Women Enterprise Fund, CDF entrepreneurs fund among others. 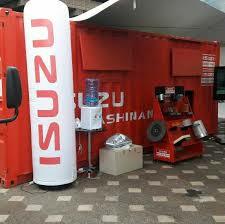 However, the container will be provided free of charge with the condition that one only stocks Isuzu parts. Previous articleHow to load Your PDSL Float Account using Equitel.